Important Disclaimer: The sole purpose of this page is to showcase some of the biomedical R&D projects that I have led. The views presented in these pages do not necessarily reflect the views of my past or current employers, collaborators and/or clients. This information does not supersede original manufacturer’s specifications or constitute medical advice or advertisement. Trademarks and logos belong to their registered owners. I do not practice medicine or provide medical services. This material is intended for general educational purposes only. As part of Tylerton’s group of medical device companies, I have been the Chief Technology Officer of MediSpot Inc since 2008. I have been in charge of the design and development of a self-contained healthcare kiosk network. Tylerton’s Medispot Telemedicine Kiosk Network, is a low-cost, high-quality healthcare delivery system. MediSpot’s unique philosophy is based on recognizing that “one-size-fits-all” solutions cannot be applied to the deployment of accessible care. Under this guideline, MediSpot has developed an exceptionally flexible architecture into the MediSpot Telemedicine Kiosk Network, allowing the capabilities of each Kiosk and the network’s Electronic Health Record to be customized to meet needs of the local population (urban, rural, remote) and purpose to be served. As such, MediSpot provides complete, end-to-end clinical telemedicine solutions tailored to mission requirements. The MediSpot Telemedicine Kiosk Network is organized as a series of medical kiosks linked to a central hub manned by health care professionals (doctors and nurses) that provide patients with access to the full breadth of medical services, including access to a medical specialists, point of care diagnostic tests, and a pharmacy dispensary. An on-board medication dispenser supports Telemedicine Kiosk Network telepharmacy requirements. In 1998 I joined Prof. Shlomo Ben-Haim’s Impulse Dynamics to develop the company’s implantable devices for the treatment of heart failure. I developed the concept, core circuitry and control algorithms for all 5 generations of implantable cardiac contractility modulation (CCM) systems. 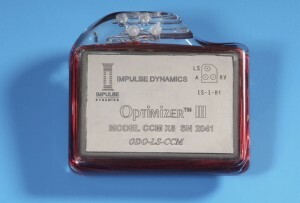 Impulse Dynamics’ OPTIMIZER™ III Implantable Pulse Generator delivers Cardiac Contractility Modulation (CCM), non-excitatory electrical signals during the myocardial absolute refractory period in synchrony with locally sensed electrical activity. CCM signals are intended to treat patients with symptomatic heart failure despite appropriate medical treatment. Early studies of the mechanisms by which CCM signals impact on the myocardium suggested that these extracellular electrical signals can affect action potential configuration in a manner that can enhance calcium metabolism and myocardial contractility. Such signals applied in one region of an intact heart impact on performance locally, but also appear to secondarily impact remote regions because of modification of the mechanical load and the immediate impact on global performance. More recently, it has been recognized that within 6 hours of CCM signal delivery in an animal model of heart failure there are significant changes in myocardial gene expression (including a reversal of several aspects of the fetal gene program expressed in heart failure), as well as improved expression and phosphorylation of the sodium-calcium exchanger, phospholamban and connexin 43. The OPTIMIZER™ III microprocessor-controlled implantable device comprises intracardiac electrogram sensing circuits, control logic, communications circuitry, and circuitry for the generation of the CCM signals intended to enhance contractility. The OPTIMIZER™ III IPG is powered by a rechargeable battery that is recharged via non-invasive, transcutaneous inductive energy transfer. The OPTIMIZER™ III Charger permits patients to recharge the battery of the IPG in the comfort of their home. The OMNI-R programmer is used to communicate with the OPTIMIZER™ III to program the device’s parameters, read the IPG’s statistics, and display its telemetry. The OMNI-R programmer can be controlled remotely via the Internet, allowing remote support of patient follow-up sessions. Four generations of implantable platforms preceded the OPTIMIZER™ III IPG. In addition, two generations of external CCM-therapy devices were also developed. Besides two separate CCM channels, the SCEPTRE II device had a complete DDD pacemaker with STAT VVI backup, as well as a fully automatic dfibrillator that we developed in-house. This Hemodynamic Data Acquisition System is used to measure hemodynamic responses to acute CCM signal delivery during the implant procedure prior to final implantation of Impulse Dynamics’ OPTIMIZER™ III implantable pulse generator intended for heart failure treatment. A Millar catheter is inserted via the femoral artery into the left ventricle after placement of the cardiac leads. 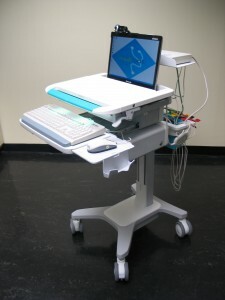 A commercially available Millar Catheter Control Unit connected to a Millar pressure catheter and a single-lead ECG cable are attached to this Hemodynamic Data Acquisition System, and their signals are digitized for viewing during the procedure. These signals are displayed on the computer screen. If the Millar catheter demonstrates a significant increase in dP/dtmax, the physician can move forward with device implantation. If not, lead repositioning is attempted. At Impulse Dynamics we discovered that the same type of non-excitatory signals used for cardiac contractility modulation could be used to control other excitable tissues. MetaCure was spun-off Impulse Dynamics in 2008. I was in charge of developing MetaCure’s two generations of platforms (Tantalus I for the treatment of obesity, Hyperion for the treatment of Diabetes, and Tantalus II for the treatment of metabolic syndrome). 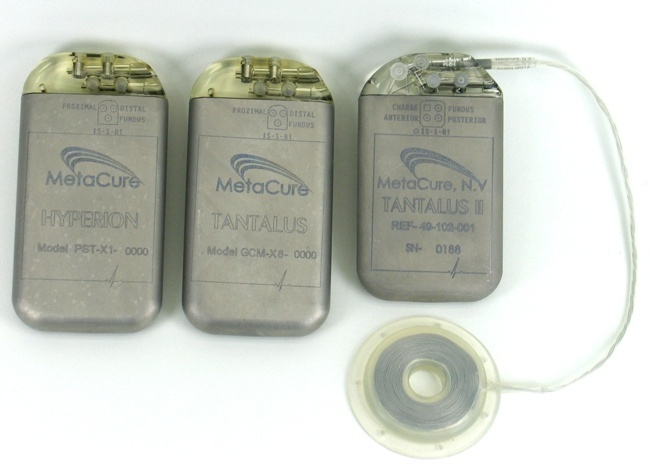 MetaCure’s TANTALUS II device is an advanced implantable electrical stimulator used to apply gastric stimulation. It works by enhancing the activity of gastric muscles only when the patient eats, which modifies hormone secretion, favorably affecting glucose and fat metabolism. At the same time, the stimulation causes the patient to feel satiated sooner and consume less food. The result is an improvement in blood glucose levels, which is often accompanied by weight loss, and reduction of blood pressure, waist circumference and blood lipid level. 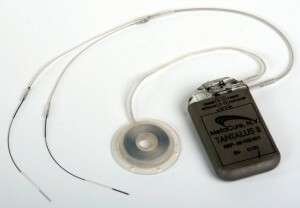 The TANTALUS II System is connected to the stomach via three leads. The IPG automatically senses when the patient eats, starting stimulation of the stomach’s antrum. The rate of the stimulation is dictated by the patient’s natural gastric activity, this makes treatment using the TANTALUS II System personalized to each patient’s specific eating habits and physiology, without causing anatomical changes, and without hassle to the patient. 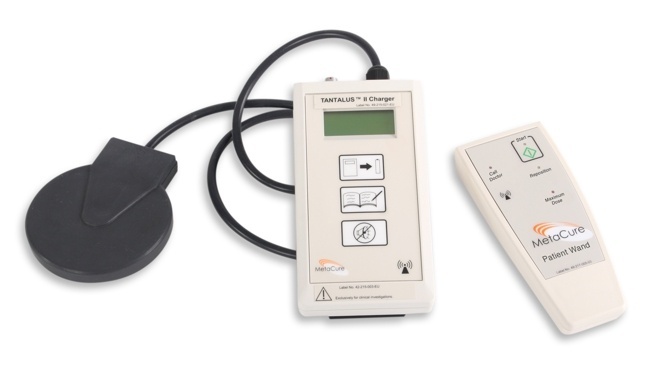 Non-invasive recharging of the battery in the TANTALUS™ II IPG is done through transcutaneous energy transfer from a portable charger. A patient activation wand allows the patient to supplement automatic therapy delivery. The non-rechargeable HYPERION™ and TANTALUS™ IPGs preceded the development of the TANTALUS™ II rechargeable IPG. I was an engineer at Intermedics (Angleton, TX) between 1994 and 1998. 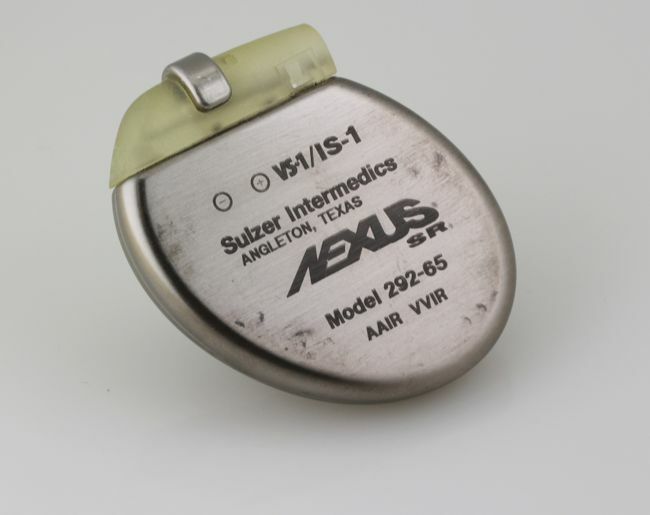 I was in charge of design and development of Intermedics’ next generation implantable cardiac pacemaker (NEXUS). I defined the architecture and chipset for this next-generation implantable hardware platform, and specified and managed the development of fully custom analog, digital, mixed mode VLSI and MEMS integrated circuits. At Intermedics I also did applied research, and developed protocols for assessing the hardness of implantable integrated electronics against therapeutic ionizing radiation. 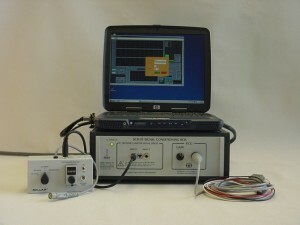 I also developed and tested novel technologies, circuits, sensors and methods applicable to implantable cardiac stimulators, along with analytical methods and instruments for in-vivo animal and human evaluation of new technologies (leads, implantable electrodes, cardiorespiratory and hemodynamic function sensors, therapies). 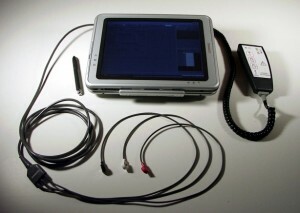 Intermedics’ next-generation pacing platform would have been full of neat features such as: hemodynamic sensing (impedance-based hemodynamic sensor), autocapture (capture verification), autothreshold (self-tuning based on automatic strength-duration curve generation), high-quality digital telemetry, large-volume memory for electrogram storage, non-volatile memory for self-recovery and patient information, advanced noise detection, etc. My favorite feature though was “Patient Alert”. That saddle-shaped electrode in the picture was used to stimulate the patient’s pectoral muscles whenever the pacemaker wanted to alert the patient of a problem (e.g. low battery, fractured lead, etc.). 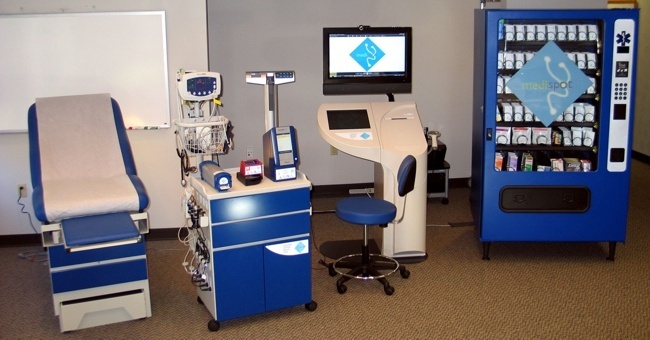 The project was canceled when Guidant (now Boston Scientific) purchased Intermedics in 1998. 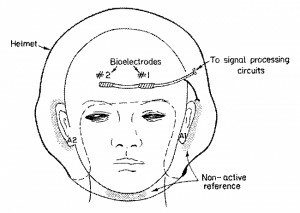 Advances in development of in-flight electrophysiological-based systems such as G-LOC detectors, ECG-synchronized G-suits, and clinical monitors have dictated the need for pasteless electrodes that meet realistic operational demands and are suitable for the cockpit environment. This research was carried out with Dr. Lisa Sagi-Dolev, head of the Aeromedical R&D Center of the Israeli Air Force. A high-resolution large-array (HRLA) SEMG system comprising 256 separate channels was developed. SEMG signals are detected by a “bracelet” active electrode array connected to a stack of newly designed biopotential instrumentation amplifiers. 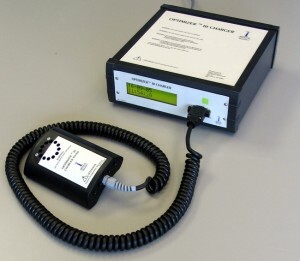 A stand-alone data logger acquires and stores the array EMG activity at high sampling rates. A RISC multiprocessor network supports computationally-intensive array signal processing and analysis algorithms. In addition, an optoelectronic system for the measurement of human body kinematics provides mechanical characteristics of muscle activity. Analysis results demonstrate that high-resolution muscle fiber conduction velocity histograms can be obtained even from skeletal muscles in which a large number of motor units are simultaneously activated. 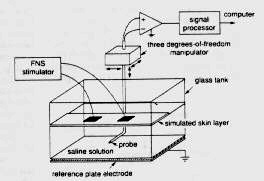 Between 1986 and 1993 I worked as a Research Engineer at the Biomechanics Research Laboratory of Tel-Aviv University where we conducted in-vivo research in tissue and body biomechanics. There I designed and built specialized sensors, high?speed array data acquisition systems, microsignal analog circuits, as well as biomedical signal processing and parallel computing hardware. I also developed signal and image analysis software. D. Prutchi and M. Arcan, “Dynamic Contact Stress Analysis Using a Compliant Sensor Array”, Invited Paper: Measurement ? Journal of the International Measurement Confederation, 11, 197?210, 1993. D. Prutchi, T. Brosh, I.Zanger, and M. Arcan, Development of a Methodology for the Biomechanical Analysis of the Pilot Seat for Modern High-Performance Aircraft, 1988/1989. M. Arcan, T. Brosh, I. Zanger, D. Prutchi, and S. Comisioneru, Development of Composite Seating Cushions for Heavy Vehicles, 1989. D. Prutchi, J. Rosen, and M. Arcan, Natural Activation of a Powered Exoskeleton ? 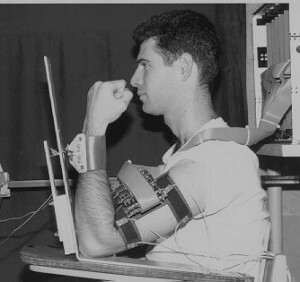 Development of a Predictive Myoprocessor based on Voluntary Muscle Control Principles (VMCP), 1993.